Google’s image ain’t what it used to be. Since last autumn, the Internet giant has taken a lot of criticism where it hurts: its search results. Many have claimed that Google’s results are clogged up with crappy, spammy websites trying to game the search engine. In January, Google denied these claims, but admitted that it has seen a “slight uptick” in search spam over the last few months. Last Friday, the Mountain View company took its boldest step yet to address the persistent criticisms against it, issuing a massive search algorithm update intended to weed out “low-quality” websites (content farms) from its results and reward sites with original, high-quality content. On its blog, the company estimated that 11.8 percent of all search results would be significantly affected by the algorithm change. And true to its word, big changes in search were noticed over the weekend. A number of sites have virtually disappeared from Google’s results, while others have received a significant boost from the new changes. Unfortunately, the changes don’t appear to be entirely positive. Many legitimate sites have been wounded in Google’s latest attack on spam, including Digital Trends. Many, including us, have labeled Google’s latest search update an attack on “content farms,” or website networks that pump out boatloads of SEO (search engine optimized) content to artificially raise hit counts and ad revenue. The article quality on these sites is low. Articles aren’t being written for people, they’re being written to get the best placement on Google’s search pages. However, though Google has stated that it is attacking “low-quality” websites, representatives did not use the word “content farms” when describing the major update over the weekend. Google hasn’t given any specifics on how it defines “high-quality” and “low-quality” sites. The paragraph above is as specific as the company will be, claiming that giving away more information could lead to more spammers gaming its results. Predictably, this update has almost eliminated a number of “low-quality” sites from Google’s results. In a quick study of one million keywords, Sistrix found that a number of common content farms like WiseGeek, Suite101, Associated Content, Articles Base, and Examiner have seen 75 to 95 percent of their keywords removed. WiseGeek, for example, lost almost 77 percent of its visibility on Google’s search engine. Still, while some content farms have been attacked, others don’t seem impacted at all. In its study, Sistrix noted that eHow actually saw a boost after the update. eHow’s parent company, Demand Media, has been labeled a content farm by many. SEO Clarity took a random sample of 60,000 keywords and also found that some content farms, including eHow, seem to have been given a boost by the algorithm change. According to the study, Answers.Yahoo.com, Wikipedia, eHow, Amazon, and a number of retail store sites saw a big boost from the change. Some shopping sites like ShopWiki, Shopping.com, and BizRate.com also saw steep declines in search ranking. Legitimate sites have seen traffic declines as well. The Guardian listed a number of regular websites that have been hit by the update including the British Medical Journal, PR Newswire, The Well, Cult of Mac, and, yes, Digital Trends (full list here). Cult of Mac’s Leander Kahney is upset (to say the least) about the changes. We aren’t unaffected. Some shifts Digital Trends has seen in the way our own content is ranked seem to accomplish the exact opposite of what Google intended. Rather than prioritizing original “high quality” content, sites that scrape our original content and republish it now rank above us in Google. This wasn’t the case days ago. For example, a search for “Netflix vs. Amazon Prime” turns up our article on it as the number one search result… but not on our site. It’s the version syndicated by an ABC affiliate in Boise, Idaho. Our original version shows up number 63, behind literally dozens of copies of the same article from news affiliates across the country. Other sites seem to suffer the same syndication syndrome. Search for the exact title of PCWorld’s article Facebook and iPad: Leading the Pack in Fake Internet Rumors and the version syndicated by Yahoo News shows up ahead of PCWorld’s original article. Google intended to punish content scrapers and reward companies that publish original content, but doesn’t seem to be able to figure out who’s the original author and who’s the copying party. Hopefully Google will clarify what its goals were with this update and fix some of the innocent casualties like Cult of Mac. We applaud Google for taking a risk and making big changes to its search algorithms in the name of better results, but it’s hard not to feel like the company tried to use an ax to fix a bullet wound. It achieved some broad positive changes, but sliced some innocents along the way. Google, we like your attitude, but your work ain’t done. 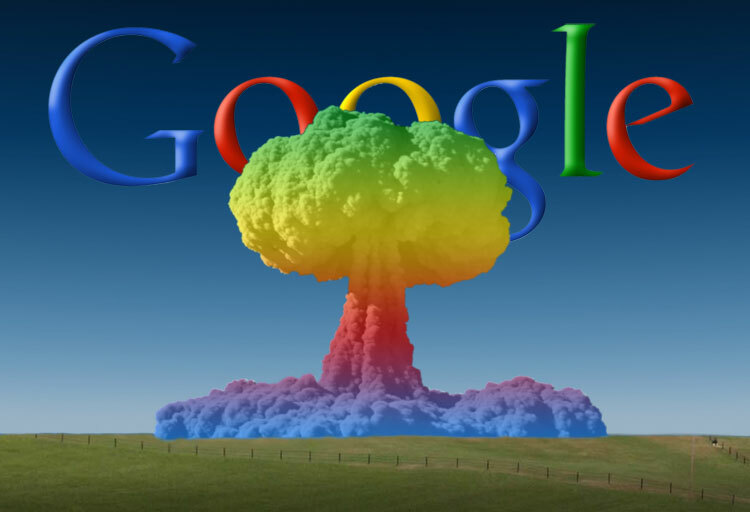 UPDATE 3/2/2011: Google has fixed whatever error was causing Cult of Mac to lose 50 percent of its search traffic. Read the story here. Sega Rally hands-on preview: A new age for digitally distributed games?